Rathlin Island is situated off the north coast of Ireland, and is the only inhabited offshore island in Northern Ireland. Rathlin has long had associations with both Ireland and Scotland due to where it is situated, and it once lay at the heart of the ancient kingdom of Dal Riada. The island has both views of County Antrim to the south and County Donegal to the west. 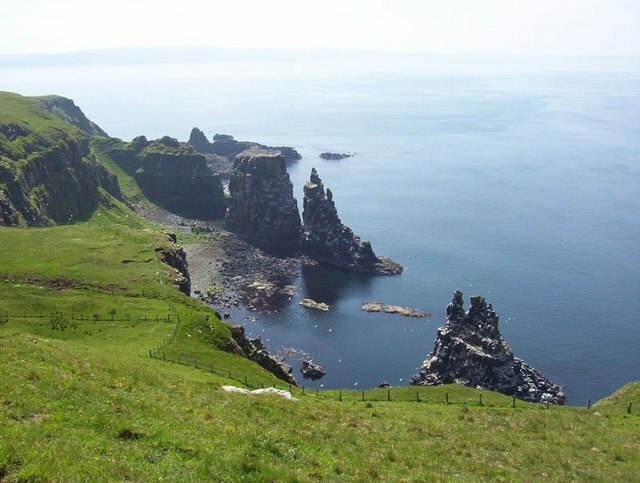 The Mull of Kintyre in mainland Scotland can also been seen to the east of the island. Today, Rathlin has modern transport, communications and tourist facilities, and a steadily rising permanent population of around 150 people. Rathlin Island has a long and eventful history, and some of the most breath-taking scenery anywhere in Ireland or Britain. It offers unspoilt environments and is renowned for its wildlife, particularly its seabird breeding colonies, including puffins. Rathlin Island is a real hidden gem and is worth a visit on your tours of Ireland, contact Ireland & Scotland Luxury Tours now to organise your private chauffeur tour!